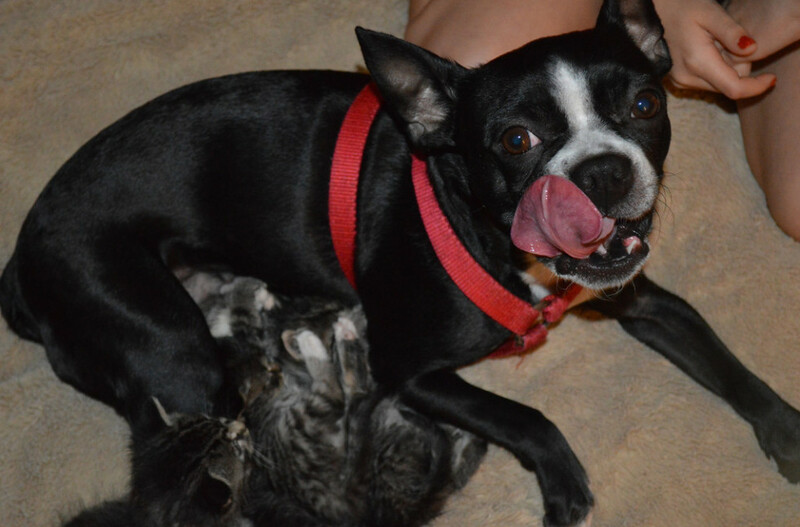 Shannon Williams' Boston terrier, Memory, used to be afraid of cats. Then Memory became a surrogate mom to a klatch of orphaned kittens whom she reportedly began to nurse, despite not having been pregnant. According to the description on a YouTube video of Memory feeding the kittens, the little ones were found outside, cold and wet, when they were about a week old. And right away, says Williams, 5-year-old Memory began cuddling and nurturing the wee cats -- two boys and two girls, named Don Mickey, Luke, Whiskers and Mittens. "She's been very protective from day one," Williams told The Huffington Post. 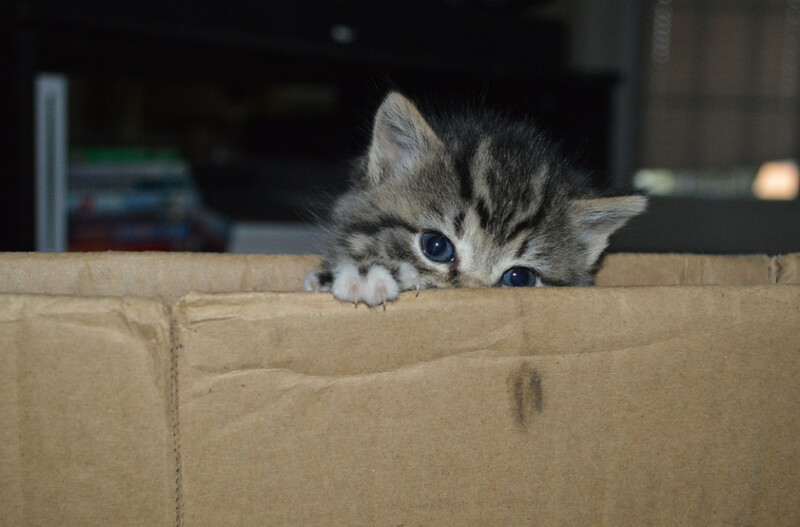 "On the second day that we had them, my daughter had one of the kittens in her hands. And Memory my dog took it out of her hands and carried it back to her dog bed with the other kittens. "She would carry them up on the couch with her. If they got up and started to walk to the edge of the couch she got up, picked them up with her mouth and laid them down with her." This was adorably unexpected, Williams said to her local South Carolina NBC affiliate, WMBF, for lots of reasons, including that Memory was previously terrified of felines. "We had a cat and she ran from it," Williams told the outlet. "Even [Memory's] former owners said Memory was deathly afraid of cats." Then things took an even more surprising turn: Memory started feeding the orphaned kitties. "Yes she did start producing milk," reads the video description. Sounds crazy, right? But such a thing is actually possible. "There is a condition called pseudopregnancy, or false pregnancy," Dr. Amy Welker, a veterinarian with the Union County Humane Society in Marysville, Ohio, told HuffPost. In dogs, false pregnancy can come about due to hormonal fluctuations, and symptoms may include milk production. Dogs going through false pregnancy may also engage in a "kind of nesting behavior," says Welker, who said the two months that Memory reportedly nursed the kittens is generally a sufficient amount of time before weaning, though earlier is also possible, if that's best for the mom. Once they were on solid food, Williams gave away three kittens to local homes, where the new owners promised to keep their furry new family members inside, and said they'd let Williams and her daughter visit. Worried that Memory would get depressed without her mewling brood, Williams decided to keep Luke. "[Memory] is still acting like a mom to the one that we kept," Williams says. "He still tries to nurse from her. She lets him for a minute and then starts playing with him." And what was it like for Williams, to find her cat-shy canine become a mommy to kittens? Well, that might be the only predictable thing in this whole tale. 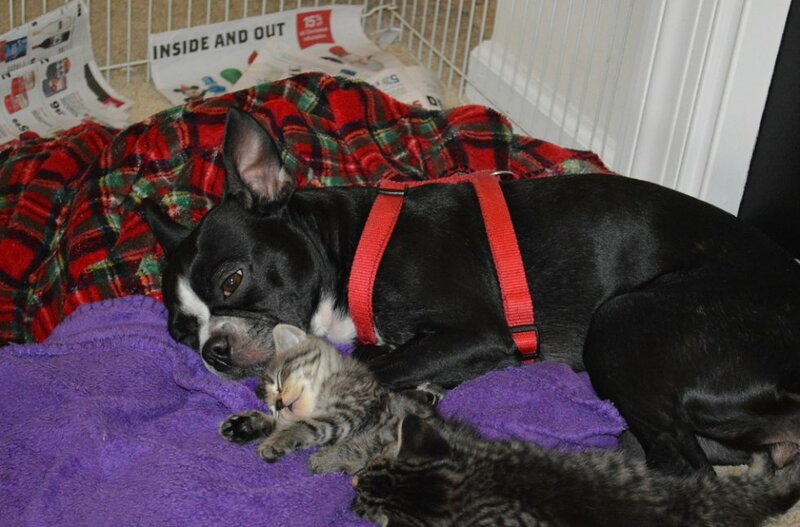 Do you know a dog who loves cats? Have another animal story to share? Get in touch at arin.greenwood@huffingtonpost.com!